Bounce rate measures the percentage of users who leave your application after visiting only one page. For some websites, this isn’t a great metric; service-based businesses, for example, often have a contact box that a user can fill out without ever clicking off the initial page. For most eCommerce stores, however, bounce rate is an important metric that, when improved, will also improve your conversion rate. Your eCommerce bounce rate can easily be improved with small improvements to your website. 1. Go Responsive: If you don’t have a mobile or tablet-friendly website, you’re likely to lose a large percentage of customers right off the bat. In order to “future-proof” your website, we recommend a responsive platform that adapts to the individual screen size of your user’s device. With responsive design, your user will get an appropriate experience whether he/she is using an iPhone, Samsung Galaxy tablet, iMac, or Windows laptop. As long as the user’s device has a screen, it will display well. Chicago developer John Polacek has a great resource for those interested in responsive design. Many plug-and-play website solutions like WordPress and Shopify already offer responsive templates. Website owners with custom-designed websites should contact their web developers to initiate responsive design practices. 2. Speed up your site: According to Kissmetrics, 40% of people abandon a website that takes longer than 4 seconds to load. With proper website maintenance, you should be able to significantly cut down on your website load times. Use a tool like Pingdom to measure your website speed and identify small bottlenecks that may be slowing down your entire site. 3. A/B Test: Use a tool to ensure every aspect of your landing page is optimized for the user. Simple tweaks to color, font size, or button placement can dramatically increase the likelihood a user will stick around. 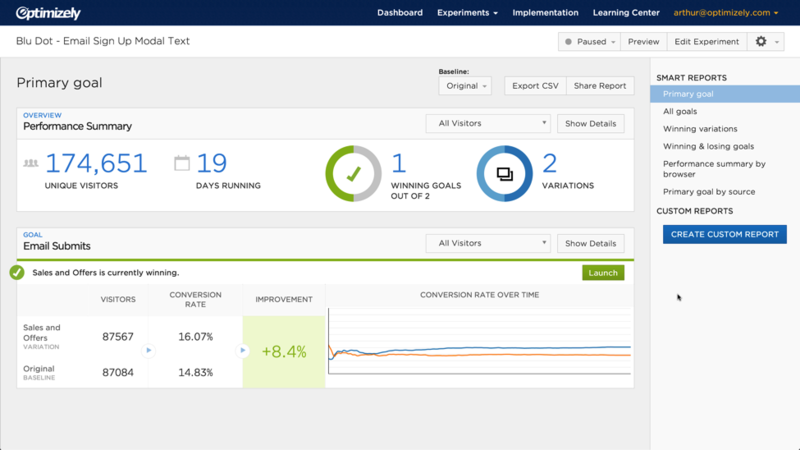 Optimizely is the largest A/B testing tool, and enables non-developers to A/B test portions of their website without any coding. 4. Globalize: If you ship internationally, you should sell internationally. International users are likely to bounce if they cannot view your eCommerce website in their language or pricing structure. Magento has a great guide on preparing your website for the global market. 5. Optimize content: A 2013 Microsoft study found humans’ attention spans are now shorter than goldfish. For this reason, it’s important to make all of your long-form content digestible. Break up long blocks of text, use bullet points, add pictures, and don’t get too fancy or vague. Above all, write to convert. 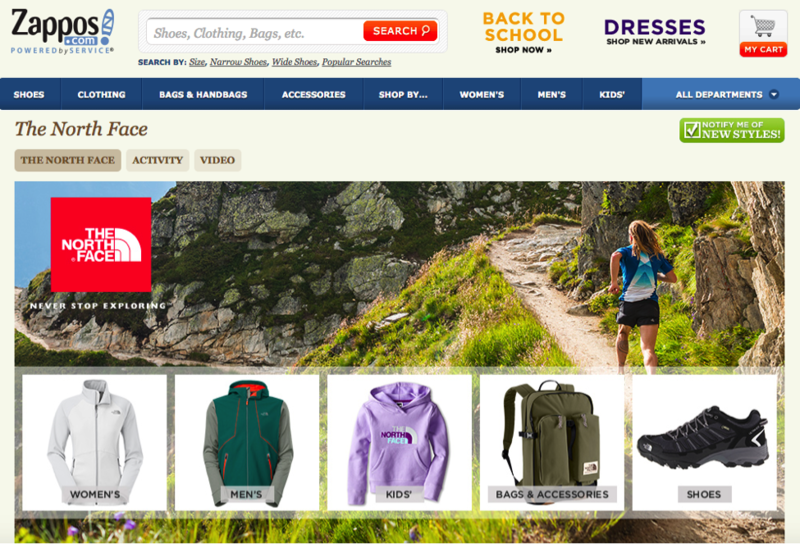 Drive your user toward the checkout page with all content. 6. Add subject-specific landing pages: Users may leave your site because they don’t feel catered to. Google suggests many entrepreneurs lose visitors from search engines because pages have been incorrectly tagged. In order to remedy this problem, diversify your landing pages. If your store sells shirts and shoes for example, create one landing page for shirts and one for shoes. 7. Use simple design: Unless your eCommerce website is truly revolutionary and requires especially custom design, users value a familiar feel. Make it easy for customers to find what they’re looking for, and you won’t risk them leaving due to frustration. Though web designers should use best practices without client request, Google Developers published a great guide for beginners. Overall, driving up your bounce rate is not much different from improving your conversion rate. Improve website usability, and most important metrics will also improve. At FarShore, we can help you in implementing this list as well as a number of more technical solutions. Questions? Reach out.